We have the pleasure of wearing perfume because people make it for us. Perfumers create perfumes, and companies sell them to us. Without perfumers and companies, we would be left to our own devices in coming up with creative ways to perfume ourselves—or not. Perhaps we would simply smell like ourselves fresh from the bath, and the people who neglected to bathe would simply stink. Our indebtedness toward perfumers puts us in a delicate position when it comes time to pen reviews, it seems to me. It behooves us, first, to remember that perfumers do not regard their own creations as “scrubbers,” no matter how unpleasant on occasion we may find some of them to be. Still, judging from the tenor of many negative reviews, it appears that some people believe that perfumers are under some sort of moral obligation to produce perfumes pleasing to everyone. In reality, perfumes designed to satisfy mutually exclusive or contradictory market niches end up failing in all of them. By trying too hard to be all things to all people, such perfumes may end by being nothing to anyone. Most perfumers, thankfully, appear content to create coherent perfumes which embody and express a certain finite set of values. Many of them appear to be aiming at beauty, but their conception may differ from someone else's. This implies that some people will not like what perfumers produce—whatever that may be—which follows straightforwardly from the fact that all people do not like all genres and scents. I do not like the smell of sweaty musk. Therefore, I will not in this lifetime be intentionally purchasing perfumes which feature heavy sweaty musk. Does this imply that a perfumer who produces a sweaty musk perfume has committed some sort of crime? Of course not. Sometimes people have to agree to disagree, and this is one such case. Perfumistas all have their bêtes noires notes, which they really prefer to avoid. I've seen people say that they cannot stand patchouli; others dislike citrus or vanilla in perfumes. Some people even claim not to like violet, for heaven's sake! I myself do not have anything personal against the scent of peonies per se, but it turns out that many renditions of the peony note do not sit well with me, and some of them even induce a fairly unpleasant feeling of malaise. Are perfumers wrong to create perfumes which induce in me strife? Of course not. But it takes two to tango, so in order to get me to buy their wares, a house must produce something I actually like and want to wear. How could anyone be obliged to please all of the people all of the time, if that is impossible to do? If ought implies can, then it cannot be the case that any perfumer is required to produce creations likeable to everyone—or even nearly everyone. In fact, after a great deal of reflection on this matter, I have come to the conclusion that perfumers do not owe us a damned thing, and companies owe us even less. They do what they do because it makes sense to them, and if we do not like it, then we can vote with our wallets by refusing to buy what they sell. Although in the past I lamented My Ugly Divorce from Mitsouko, in the end, I must admit that Guerlain has every right in the world to self-destruct through the mangling of once-classic perfumes and the launch of trivial flankers and BHT-laced nonsense which I have no desire to wear. Perhaps they will not entirely self-destruct. Perhaps they will cling on to existence, survive like a cockroach, producing cheaper and grosser juice until the only place to buy it will be the drugstore, while the boutiques which formerly carried real perfume (muzak versions of which are now sold at Walgreens, Target, and elsewhere) will all close down. 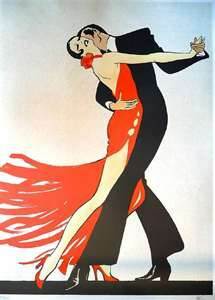 Perhaps Guerlain will follow the sad path taken by Halston and Coty, destroying the best of what it once offered and limping along like an elderly person hobbled by the many vices in which he indulged as a youth. Having recognized already that Guerlain is not Guerlain anymore, I really cannot be bothered with anything that they produce. Maybe they'll luck out and come up with a winner now and then, but at this point it's strictly a game of chance. No more blind buys from Guerlain. I've learned my lesson well. My loyalty to a house lasts only so long as they produce wares which warrant my loyalty. Once trust has been shattered, it's impossible to reverse the damage done. That is the nature of trust. One of the most interesting points made in Mondovino is that brand loyalty and customer sophistication are inversely proportional. The more consumers learn, the less likely they are to stick with a single brand name. They gain the confidence to make judgments and choices based on their values and the actual quality of products, rather than simply shopping for labels. This seems obviously to be the case with perfume as well. The more we learn, the more difficult we become to please. There is a curious sense in which perfume companies are the gods of the perfume universe. They make what exists there, and they and only they have the power to take it away, whether through reformulation or discontinuation. Consumers have no real control over any of this beyond their decisions regarding the dispensation of their wallet share. This is why if we care about the future of perfumery as an art, we should attempt to support the houses which draw a line in the sand and do not cross over to the dark and crassly mercenary side. We should support the houses which do not lose sight of why their founders went into perfumery in the first place. Corporations, of course, are not moral persons. It is odd how they have come to acquire so much power and are sometimes even accorded rights befitting of persons, when in reality they are nothing of the sort. There are persons working behind the scenes at companies, of course, but even they may or may not share our values. We certainly cannot count on them to remain the same over the course of their lives, and for the very same reasons that people change, the corporations which they together comprise will change as well. The homogenization of wine decried in Mondovino came about not because the Robert Mondavi company was evil, but because consumers are like sheep who generally do as they are told. These are habits developed early on and which persist throughout most people's lives. We grow up being told to do this and not that, and we learn to heed the decrees of our parents and teachers and other authorities presumably wiser than we. By the time we have reached adulthood, we have developed difficult to reverse habits of submission. On the bright side, most of us have never been convicted of a felony or seen the inside of a prison cell. This explains why when someone like Robert Parker comes along, proclaiming himself to be an expert on wine, people actually listen to him. The guy has a lot of experience with wine, much more than most consumers, who are busy with their own careers and areas of expertise, so they naturally defer to him. Once the ball starts rolling, it gains speed, and consumers' tastes begin to reflect the experts' for no other reason than that they become used to drinking what they have been told to drink, and they develop a taste for precisely that. Parker prefers ripe fruit wines with a denser concentration, and he also appreciates the toastiness imparted by fermentation in oak barrels. These tastes are easily acquired, and people who follow his advice in deciding what to buy, eventually come to value these same qualities in the wines which they imbibe. In a cycle, then, these values are confirmed and reconfirmed to the point where consumers, too, begin to agree, and this makes winemakers inclined to provide the sorts of wines which consumers are drinking and will therefore continue to buy. The ready availability of such wines then makes consumers want to drink more of the same. Similar dynamics can be seen in the world of perfume. The examples are virtually limitless, but let us consider a few, beginning with the case of Estée Lauder Beautiful, said to be the number one bestselling perfume in the United States. How in the world did this come about? The same self-perpetuating mechanism comes into play in the world of perfume as in the world of wine. Americans generally speaking do not know that much about perfume, and they may have inferiority complexes when it comes to exotic products bearing French names. When young women with little perfume experience are preparing to get married, they may well ask for advice: which perfume should I wear? 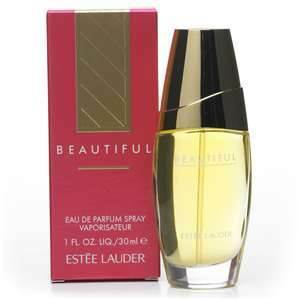 The answer they receive at the major department stores, all of which are equipped with well-staffed Estée Lauder counters is: Beautiful is the number one bestselling perfume in America. 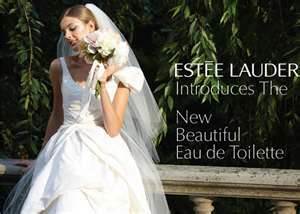 The idea that a woman about to get married should, too, reach for a perfume with such a name, and which is explicitly advertised as the perfect choice for brides, with beautiful models wearing Beautiful perfume and dressed up in flowing white wedding gowns, conspires to make it a nearly compelling purchase for many young middle class women. Then, of course, having purchased Beautiful, they come to number among those who keep it the number one selling perfume in America! Now one natural response to the case of the homogenized wine industry and also to the nuptial scent hegemony of Beautiful might be simply that these tendencies do not prevent other wine and perfume companies from offering other wines and perfumes. And, yes, this is true. Le vin est mort. Soyons clairs: le vin est mort. Preachers of death are always emerging in human society. Everyone seems to be claiming to be the prophet of the death of this or that, but these supposedly moribund things always seem to find a way to cling on to life. Wine is still being made, eight years after the release of Mondovino. It may be that many people's palates have adapted to the point where they themselves sincerely prefer the sorts of wines favored by Robert Parker. Is there a crime in that? We can ask the same question about changes in people's taste in perfumes. Let us take the vexed question of “old lady perfumes”. Read the reviews of a classic perfume at fragrance community websites—take Chanel no 5 or basically any other floral aldehyde—and you will find a contingent of probably younger perfume wearers who sincerely claim to dislike such creations because they remind them of their grandmothers or other “old ladies”. I recently became acutely aware of the truth of this quasi-Aristotelian theory of perfume identity upon taking up Estée Lauder Azurée after a hiatus during which I had been wearing a lot of currently popular varieties of perfume, including sweet patchouli and oriental fragrances. What I discovered is that what we are used to sniffing does tend to smell better to us, at least to a point, because there is an appeal in virtue of the feeling of comfort and familiarity we derive from smelling it. Companies such as Sephora are capitalizing on the warm, fuzzy feeling of comfort we derive from wearing habituated scents, by offering sample sets which come with a voucher for a free bottle of one of the perfumes in the set. This clever ploy basically compels consumers to buy full bottles of one of a small selection of perfumes, often in the same or similar mold. I myself have bought these sample sets as a means of testing new perfumes, and as a result I own a few bottles which I might otherwise never have purchased. Once a bottle has made its way onto a consumer's vanity tray, she will reach naturally for it and will become habituated to its scent, perhaps even growing to love it, which may well lead to further purchases of the same perfume later on down the line, once the first bottle has been drained. With perfume, as with wine, part of what we like is simply what we know. We can acquire a taste even for wines and perfumes which did not initially appeal to us, and this is facilitated by the stratagems of companies, of which Sephora's ingenious sample sets with vouchers are one example. Seems like a good deal, doesn't it? You pay a modest price for the sample set (the price of a bottle of perfume, in fact), and you get to sample several new perfumes for free. The only hitch is that your choices are limited to the perfumes in the sample set. I attempted to bend the rules once, asking whether I might substitute a perfume of the same price for one of those covered by the voucher. The reply was “No,” unless my selection from the sample set options was completely out of stock, then substitution would not be possible. Still, the whole ritual was quite fun, I must say: testing the perfumes, marching off to Sephora (you must present the voucher in a store—they are not redeemable online), and coming home with a new bottle of perfume, which I might end up swapping away. I suspect, however, that the vast majority of consumers who play the Sephora sample set game end up using the bottle they acquire. I'm not going to complain: I also picked up my three allowed decanted samples while I was in the store. This is only one of the ways that perfumes can make their way into your home and eventually come to be used by you and then become a part of your perfumed identity. You are what you sniff! I noticed recently that Sephora is now offering smaller and smaller sample sets with their voucher deal. The latest versions of the deal involve buying a coffret containing either four or five minis of perfumes. The choices have thus been whittled down from ten vial samples or minis to four or five minis. By this maneuver, they are going to dramatically increase the percentage sales of those particular perfumes, already previously offered in the sample sets containing a wider range of choices. Is there a conspiracy at work here? Of course there is. Is there anything wrong with that? No. Did I buy one of these coffrets? No. I had already tested all of the perfumes being offered in the smaller coffrets, so I already knew that I had no desire to add any of those full bottles to my collection. Perhaps other consumers, too, will vote with their wallet, and Sephora will offer new sets with a wider variety of samples again, making it rational for someone like me to buy one in order to test some new perfumes. Companies are in business to make money. End of story. Fortunately their desire to make money sometimes accommodates our own desire to wear beautiful perfume. But nothing that they offer today is guaranteed to be there tomorrow. The universe of perfume is peopled all and only of perfumes which companies find profitable to produce. For this reason, it may not make a lot of sense to try to immortalize perfume. Perhaps, in the end, perfumes really are more like people than poems. They are born and eventually die, fading from consciousness until the point where they remain only a name which may be mentioned now and then, but which most people in the universe cannot claim ever to have really known. Perhaps we should celebrate the ephemerality of perfumes. Is it not their very mortality which makes them so precious and fragile, precisely like human beings? Should we attempt to mummify perfumes? Or should we allow them to die with dignity, as in the case of a perfume such as Mahora, which was never reformulated but only discontinued. Would the world be a better place if it contained a reformulated version of Mahora? I think not. May she rest in peace. Le parfum est mort. Soyons clairs: le parfum est mort. And if we do, we, too, will be wrong, because nothing that Sephora or Estée Lauder or any other company does is going to prevent small, independent niche houses from continuing to produce perfumes which appeal to narrow sectors of the perfume-wearing population. So there. 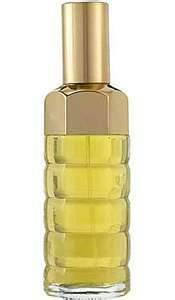 It is precisely in their exclusivity that such perfumes will continue to appeal to perfumistas. Perfumes which are produced not in order to please the masses but in order to captivate will continue to exist, so long as perfumers continue to exist. So I say: Long live olfactory artists who continue to create compelling works for us to sniff! Let us rejoice that we have the opportunity to enjoy the fruits of their labor during our short time together on this planet. Le parfum n'est pas mort! Soyons clairs: le parfum n'est pas mort. Hi Sherapop, thanks for your blog entry and I'd choose none of the two sets. Just say no when the choices that are offered are not what you really want. Thanks also for pointing out the "Beautiful" cycle of a selffullfilling prophecy or in science: how the result of an experiment is miraculously precisely what the scientist expected. Authority is a word that has many meanings. In social science, political science, and psychology there is a thing called autoritärer Charakter / Persönlichkeit (authoritarian personality). People such as Reich, Fromm, and Adorno (to name the most prominent) came up with this. You might want to check out the following Wikipedia entries as they offer a quick overview (and have a reading list added for further investigation into the matter): in German "Autoritärer Charakter", "Autoritäre Persönlichkeit"; in English "Authoritarian personality". Also please take into consideration that when we speak of an "authoritarian state" we mean dictatorship. I think that Luca Turin's aggressive style of communicating in his books is very diffrent from, say, how parents tell their 3year old that it is absolutely necessary to wear warm clothes in a Midwest winter. There's also "good authority". There are people who have invested much thinking and time into a special field and thus have something to say. It would be very ignorant not to listen to them. But these authorities don't have to depreciate others. They don't have to shout profanities. They don't make others feel bad/scared/worthless/insecure/inferior. They respect others. And what's most important: They will allow dissent. You can contradict them and they will not punish or depreciate or ostracize you. Why? Simple: They are interested in their special field, sharing their knowledge and want to learn more. They'll argue but they can also agree on disagreeing. They'll meet you as their equal on the same level. They don't want to dominate you. They'll explain their point of view. They are not looking for followers that do as they tell them. I agree with you: human beings are fragile and precious. We are individuals but at the same time we need to form communities. You already mentioned Aristotle: Only animals and half-gods can survive outside society, according to his Politeia.. Or in other words: Meine Freiheit endet da, wo deine Unfreiheit beginnt. Mahora: In the city where I live they've recently torn down an office building that was designed by a famous architect. This building was a point of reference in the 80's for this type of building. But it has become dysfunctional over the course of time. Working conditions have completely changed. Thank you for shining the bright light of your intellect here once again! Your post is bursting with ideas! When I posed the question "Which would you choose?" I was actually thinking among the perfumes in each coffret. But you are right: why should we find ourselves in the position of owning either of these coffrets in the first place?! Stimmt! What a mess! Is Beautiful beautiful or is Beautiful not beautiful? Is it modern or dated? How, pray tell, do the authors know about these up-to-the-moment synthetics used in the reformulated composition? Isn't this just a marketing text? Someone ignorant person who flips through The Holey [Book] and reads the first two words of this “review” buys this perfume. Don't they? Anyway, I'm definitely going to take a look at the sources you mention... Vielen Dank! I agree that there are good authorities, whose advice is worth seeking out. When apparent authorities start shilling for products, that's when I stop listening to what they have to say. Thank you again for sharing your thoughts, Girasole! Hello, your foxiness, very nice to read you here again! As far as perfume is concerned, I think that we may have entered a period of two worlds: one in which there are widely advertised mass market launches of vat-produced sweet laundry scents for the one-bottle-at-a-time consumer; the other in which a subculture of aficionados seek to expand their olfactory horizons and pursue obscure and creative perfumes offered by small independent houses. The Question of Tea: TGFOP Perfume Testing?